…Who Caused Mass Civilian Casualties. I suppose this list was made before the release of Man of Steel, a movie whose detractors instantly note must have had thousands of civilian deaths during the fight between Superman and Zod. Though I loved to see them when I was younger, whenever I see a car chase in a movie nowadays I can’t help but slip into “old man” mode and cringe at some of the crashes presented. Perhaps its because I’ve driven for as many years as I have and I can’t help but think, when seeing these carnage filled chases, about the civilians in the line of fire. Understand, car chases remain incredibly exciting if done well, but if one looks at the very early examples of car chases in film (Bullitt, The French Connection, and The Seven-Ups), there is quite a bit made of how the hero has to avoid hurting civilians and, when they do somehow get in the way of the chase, pains are made to show that the civilians aren’t hurt by the chase. Notice there are very few civilian vehicles on the road during this chase and even fewer civilians walking the streets. In fact, for a big city like San Francisco, the streets look almost eerily empty! Note too that the only civilian that gets in the way of the chase is found in the second part of the video, when the action moves from San Francisco to the outskirts of town. A motorcycle rider falls but the filmmakers make it clear with a quick shot that he may be shaken but otherwise gets to his feet. As for the gas station at the end of the sequence, one can only guess it was closed and no one was in it at the explosive finale as the scene after no mention is made of casualties. What this film does (apart from the fact that it isn’t really a car chase but rather a car chasing a train), is up the ante of Bullitt by introducing that for the most part missing civilian danger. Here we have the hero fighting to get to the villain but also having to deal with civilians both walking around and in other cars. Note how the hero avoids them and what crashes there are tend to not be as destructive as some of those noted in the cracked article above. First off, your eyes don’t deceive you. The man driving the villain’s vehicle in this movie is Bill Hickman. the same stunt driver/actor who also drove the villain’s vehicle in Bullitt. He also had a role in, and was the stunt double of, Gene Hackman in The French Connection as well! Clearly Mr. Hickman played a big role in modern cinema’s car chase elements. Returning to The Seven-Ups, much as I liked that car chase, by this point it was obvious the film’s makers were essentially repeating the Bullitt car chase but with added civilian threats and a conclusion that twists that earlier movie’s ending as the villains survive the chase but the hero is stopped. I only present these chases to give you an idea of how far things have gone since these early elaborate chases (Bullitt was released in 1968, The French Connection was released in 1971, and The Seven-Ups was from 1973) versus what we see now in films such as Furious 7. Yesterday (you can read it here) I wrote about the three remastered Led Zeppelin albums I bought and my disappointment with the bonus materials on two of those albums (the third album I mistakenly bought without the bonus disc) while also noting the remastered albums themselves sounded damned good. I noted in my review that I purchased those albums because I was curious to hear the bonus/alternate versions of the very famous songs on the albums themselves and that that curiosity was akin to the sometimes very illuminating rough versions of songs created by the Beatles. Coincidentally enough, I later find this website devoted to cataloging the oddities found in various Beatles songs. It is worth a look if you’re curious! Of course, not every song a band/singer creates undergoes such a metamorphosis, but I guess I was hoping to glean something more radical in the Led Zeppelin bonus stuff found on the two albums I bought. Perhaps the others will have more interesting stuff? If you’re like me and grew up around the time I did and are a fan of rock n’ roll music, then you’ve got more than just a passing familiarity with the works of Led Zeppelin. In fact, their songs, just about all of them, are probably ingrained in your very DNA. When I heard that Jimmy Page was supervising a re-release of the original 9 Led Zeppelin albums (I, II, III, IV, Houses of the Holy, Physical Graffiti, Presence, In Through The Out Door, and Coda) remastered and with bonus material, I was intrigued, to say the least. As popular and successful as Led Zeppelin is/was, like the Beatles I was curious to hear alternate/early versions of their most famous songs. Works in progress, if you will, that eventually lead to the songs I’m so very familiar with. Yet when the first three albums were re-released with bonus material, I heard mostly negatives concerning the bonus stuff. The albums themselves, critics noted, sounded bright and clear and beautiful in the new remasters, but the bonus stuff…it wasn’t all that. So I held back. While I’d love to listen to the new remasters, frankly, I’ve heard the stuff so many times that I doubted the new clarity would be enough to draw me in. I was (somewhat) wrong about that. The other week I broke down and picked up the middle three albums, Led Zeppelin IV (otherwise known as Zoso and even better known as the album that features what is arguably Led Zeppelin’s most famous song, Stairway to Heaven), Houses of the Holy, and Physical Graffiti. I made a mistake with Physical Graffiti and bought the remixed album version sans bonus stuff. Though I was upset by this mistake, after hearing the bonus material on the other two albums I felt I didn’t miss all that much after all. Look, I’m going to be clear here: The albums sound excellent in this remastered version. In fact, they sound far better than any previous release or re-release (the albums have had at least two remasters before, if memory serves). So if you’re coming into this wanting to get the very best version of these particular albums, then go for it. However, if you’re not as picky about the new level of clarity on songs you are very familiar with and, instead, are like me and found yourself curious to hear the alternate/early versions of these famous songs, then the bonus material present in both IV and Houses of the Holy will probably not prove all that impressive. The rough/alternate versions of the songs presented on the bonus disc (yeah, I bought the CD) sound exactly like what they are, close to finished rough/alternate drafts of the finished product found on the album itself. You may detect minor different guitars or bass or drums or an extra “aaaaahhhh” from singer Robert Plant and the sound levels aren’t quite there, but in the end this bonus material is not all that far from the end product. Which makes this a curious…fail…to me. Yes, the albums themselves sound great but if you’re looking for genuine insight into the creative process, you’ll not get all that much from the bonus tracks found in both IV and Houses of the Holy. Here is a review I found of these three albums by Mark Richardson for Pitchfork.com. Unlike me, he was more focused on the actual albums and therefore was far more impressed with the product than I. Presented below is the Sunset Sound Mix of Stairway to Heaven. This is the version presented on the bonus disc of the IV album. As someone noted, this version appears to have a little more reverb but otherwise is pretty much the released album version of the song! Is this really such a good idea…? Now, the fact that I actually recall the names of both Mr. Faustino’s and Ms. Applegate’s characters should clue you in to how much I loved that show when it originally aired. And I can honestly say that I haven’t seen a full episode of the show since a few years before it left the air, which it did waaaaay back in 1997. As much as I loved the show and watched it religiously during its initial five years, I must admit I lost interest in it -and stopped watching it- at least three or so years before it was finally cancelled. Regardless, when the show was good it was damn good. But the idea of a spin-off series, one that apparently features David Faustino (after reading the article -and I fully admit I could have this wrong- I nonetheless got the feeling the other original cast members are up to making small appearances in this spin-off pilot but that this new show might revolve around Faustino’s character), doesn’t thrill me all that much. Married…With Children was one of those shows that really changed the landscape of TV, an anti-Leave it to Beaver-type show that was crude, rude, and hilarious. But its humor, so daring at the time, has now been used in so many other shows and series that I wonder if any spin-off could possibly chart any new territory. As with so many other things, if the spin-off pilot is made and, should it then be made into a formal series, we’ll see. Today, July 29th, is the first day that Windows 10 is officially available for download but, given the large (extremely large) number of people waiting to do just that, Microsoft is offering the downloads in waves. Thus, if you’re waiting to download the new version of Windows, you may still have to wait a little while. Pardon me for once again offering a link to an article involving, yes, Driverless Cars and their impact on society. Driverless cars, by their very nature, are technological machines that require considerable computer equipment to perform their functions. Because they are essentially moving computers, they will likely have considerable memory of their function and movement. Currently, Mr. Weaver notes, there are cases involving search and seizure of smartphones, noting that because of the volume of information they hold, from emails to photographs to phone calls to contacts, etc. etc. etc., that police should have to request a proper warrant to look into any individual’s smartphone and cannot simply take it from a person and look at the information within it without doing so. Driverless Cars, when they become what I suspect they will be in the very near future, present a very similar issue. There is no doubt they will have records of where someone has been taken, where they left the car, when they returned to it, and, given the levels of technology in the vehicles, perhaps even conversations they had (if the car has its own cell phone device), etc. Never heard of this before, but apparently when two pendulum clocks are put next to each other on the same wall, they tend to “sync up” after a short while. When the pendulum of one clock is to the right, the pendulum on the one next to it is on its left! This strange phenomena (that, I repeat, I just now heard of!) has vexed scientists and researchers since, believe it or not, being first observed in 1665 (!!!!) and it wasn’t until now that the reason for this phenomena has been solved. If you like that one, you should check out the rest. 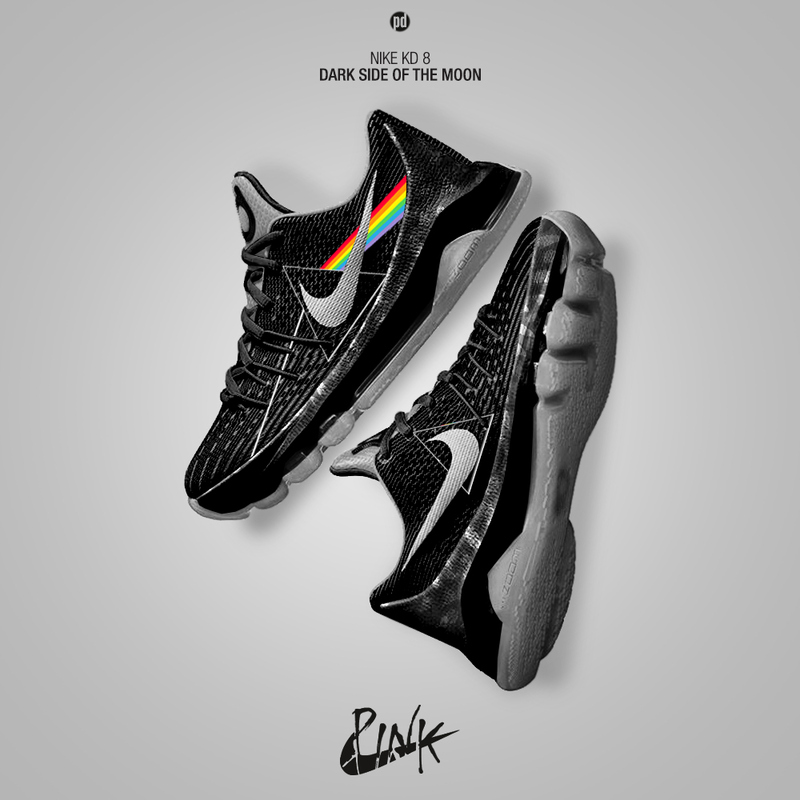 Certainly worth a look, particularly if you’re into classic album art and Nike sneakers. Anyway, when I first heard the song I couldn’t help but notice how similar the main verse sounds like something…well…naughty and I wondered if The Beatles were slyly making a *ahem* joke with this song. Based on what’s written in the link above, the lads deliberately mispronouncing those lyrics so that it sounds like…well, use your imagination. Love many of their songs. How about another? Not too surprising to find several of the ones listed. They did forget one prominent one, though: the original 1987 Robocop was originally slapped, I believe, with an “X” rating (NC-17 didn’t exist then) and the makers of the film had to trim down some of the violence, particularly during the messy boardroom presentation of the ED 209 (where the robot kills a board member and, removed from the film for its theatrical release, continues firing at his dead body) and Officer Murphy’s (Peter Weller) death scene (it went on longer and was more graphic) to get an R rating. I believe those scenes were re-inserted into the film since then and most video releases now have them. I’m a movie/TV show buying addict. I’m much better now, purchasing only a few films or TV series now and again and, often, only when they’re on sale. But my collection is so damn vast at this point and there are so many shows and movies I’ve purchased and have yet to actually watch, that it became clear to me several years ago that I had become an addict. When I was at my worst, I would purchase at least a film -more often two or three!- a week. At first it was to build up a collection of my favorite features and TV shows, but soon enough I had most of the works I originally wanted and started picking up new features that looked interesting. Often, I hadn’t seen the work at all and was picking it up sight unseen. My logic for doing so wasn’t all that bad: I didn’t catch the movie in the theaters or the TV show on first run and, when it was released to DVD or BluRay, the price to buy these works was comparable to what I’d spend going to the theater to see it or renting it (this was when Blockbuster still existed). In other words, no big deal. However, just as I didn’t have the time to see certain films in theaters I found I didn’t have time to watch the DVD/BluRays I bought in my spare time either. Even now there are movies and TV series I bought literally years ago which I haven’t had the time to get to and, when I’m honest with myself, I wonder when and if I ever will. Which makes me realize –painfully!– all the money I’ve spent on these works. But as I said before, I’ve gotten much better. Realizing I was buying things I might never get to has helped me slow my purchases to a crawl, as has the fact that I’ve once again focused on getting things that I absolutely loved and wanted to own. Netflix and On Demand has helped as well. Instead of buying films sight unseen I now put them on my cue and, more often than not, see a film and send it back and rarely feel the need to buy it as I know I’ll never get back to it again.